I had seen the show 48 hours before, but it couldn’t have been more different. The bands were the same. The setlists were the same. The clothes were the same. But that was where it ended. 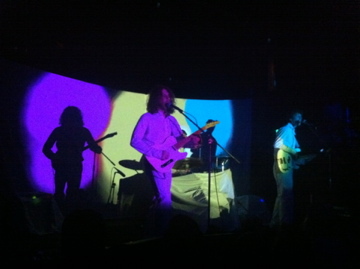 It was my first time at the El Rey, and I fell in love with it immediately. Standing on a step close to the stage with a perfect view, it wasn’t long before the curtains parted and revealed The Stepkids. But first, I was rather creeped out by what came over the intercom system: an announcement that the venue is part of a movement to report any suspicious activity. Were we in an airport? I’ve been to venues all over the place and I’ve never ever heard anything like that…I had no idea the El Rey was a potential terrorist target. From a rowdy show of 150 people to a sold out mini theater of a couple thousand, The Stepkids’ presentation was much more suited for this. As I got lost in the imagery of free spirits and the sexual revolution that their music evokes in me, I thought about how their music may sound very derivative, but no one else is doing that right now. For the song “La La”, they were joined by a female vocalist this time around. This band will be going on a Spotify playlist of mine very soon. I was looking forward to seeing The Horrors play without fighting to remain upright and keep my shirt on this time around. The curtains parted as “Changing the Rain” began, and the band was already on fire. With more room to move and a larger crowd to play to, their performance felt bigger. It was nice to not have people shouting for Strange House material…everyone was just enjoying the set for what it was. You could see the energy rise in the familiarity of the Primary Colours tracks, as they were woven into the new material. 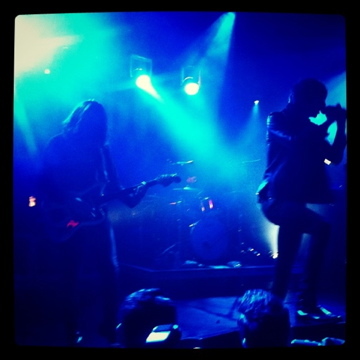 A glance at the crowd showed that The Horrors’ music has touched a cross section of music fans. Punks, goths, hipsters, rockers…all were represented. It was an intimate, communal experience we all had that night, tuned into The Horrors aphrodiasiac-like performance. Perhaps the band gives each of us a different reason to be there: the dreamy guitar, the touching lyrics, the synths, the Brit-pop/punk vibe….either way, we were all satisfied. 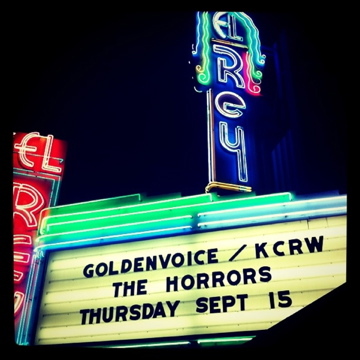 I imagine there were some in the crowd that had been there since the beginning; I’ve heard stories of when The Horrors played that very same stage when touring their first album, when the show was much more angry and destructive. I can’t wait to see where this band goes next. I ended up going to both shows too, and I think your assessment is spot on. I felt like the Detroit Bar show had more raw energy, but that could have just been because I was exhausted last night. It was a great show either way, and I, too am a new Step Kids fan.